This birthday card from Gemma is bright, fresh, and a perfect way to celebrate either gender of any age. 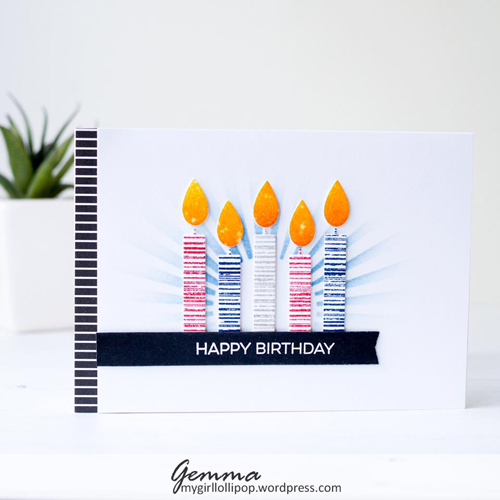 She used the Distressed Patterns stamp set to accent her Birthday Candles and the Radiating Rays Stencil to create her background. 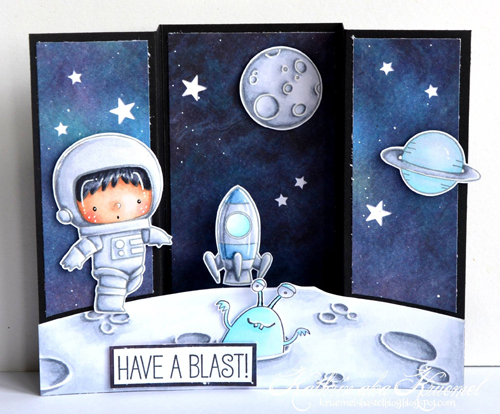 This dimensional look from Kathrin featuring Birdie Brown's Space Explorer made my jaw drop! From the phenomenal coloring to the incredible use of layers to create depth, I know that her efforts will be so appreciated by the lucky recipient! You Float My Boat is a fabulous choice for creating masculine looks. 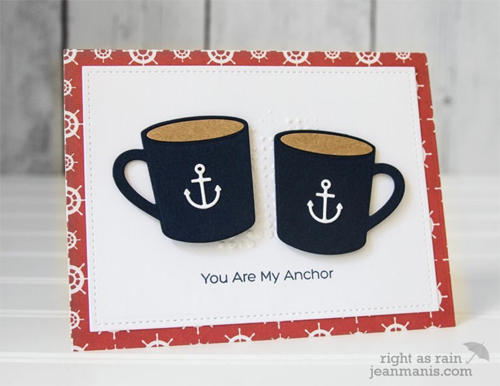 Jean chose to forego the sailboat imagery and used die-cut anchors and a coordinating sentiment from the stamp set pairing it all with mugs pulled from the Hot Cocoal Cups Die-namics — perfect! Springtime Blooms look striking on black. 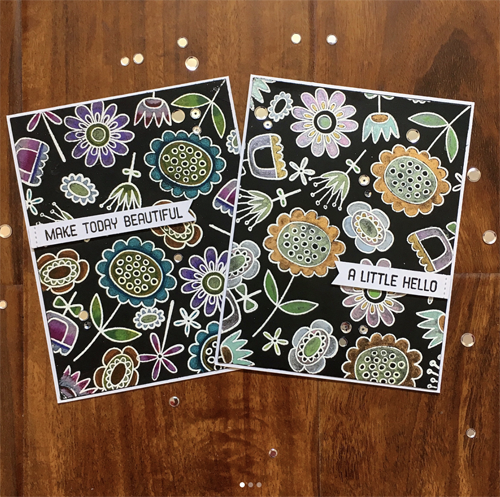 I love the idea of a full panel filled with a custom pattern and topped with a charming little sentiment strip. Using a MISTI to position the stamp images allows you to create multiples with ease as well...stamp a few and color whenever the desire strikes! What stuck out to me on Olga's Farm Friends look is her mix of custom papers. The green tree pattern she created on the left and the distressed blue panel that if you look closely, features the same "I Miss Moo" sentiment as that which is embossed on the black strip. I'm always impressed by the ways I see supplemental imagery incorporated into your projects! Love the other projects featured too! All of these are amazing - and I feel totally honored that my card is among them. Thank you so much, you made my day! Thank you very much! Cards by girls are adorable!! !